Congratulations to the Radford NJROTC Color Guard for winning 2nd place at the West Point Drill meet this past Saturday. The Color Guard team has now won 1st and 2nd place in their last two drill meets. 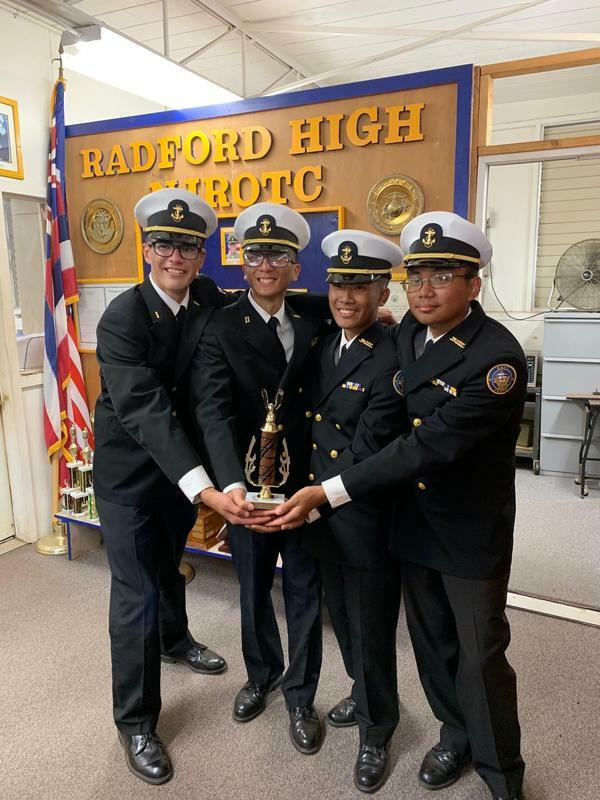 Shout out goes to the Color Guard team members, Wester Gapasangra (Team Captain), Dan Balanon, Bryce Bentcliff and Aldreck Agmata. Great job and HOOYAH RAM BATTALION! !